The Policy of the ACT Education Directorate is for each school to develop and implement its own curriculum within frameworks formulated by the Directorate and in accordance with the Australian Curriculum. The School Board examines and approves the curricula of the school. There is a cyclical program of curriculum review and renewal. The eight learning areas, although described separately, are not taught in isolation. Links are established so that students can discover the relationships between them and apply skills across the learning areas. Literacy and Numeracy Plans ensure these key skills are embedded across all subjects and that resources and teaching methods are inclusive of all students. encouraging a commitment to lifelong learning. thinking skills being explicitly taught in all year levels. Literacy teaching and learning endeavours to integrate all aspects of English - listening, speaking, viewing, reading and writing - across as many curriculum areas as possible. In this way, students learn to use English in meaningful contexts. Studies in English will provide opportunities to develop an enjoyment and appreciation of English, as well as develop the skills to use English competently in a range of situations. The study of English plays a key role in the development of reading and literacy skills which help young people develop the knowledge and skills needed for education, training and the workplace. It helps them become ethical, thoughtful, informed and active members of society. Mathematics provides students with essential mathematical skills and knowledge in Number and Algebra, Measurement and Geometry, Statistics and Probability, and Mathematical Problem Solving. It develops the numeracy capabilities that all students need in their personal, work and civic life, and provides the fundamentals on which mathematical specialties and professional applications of mathematics are built. Health and Physical Education offers experiential learning, with a curriculum that is relevant, engaging, contemporary, physically active, enjoyable and developmentally appropriate. Integral to Health and Physical Education is the acquisition of movement skills, concepts and strategies that enable students to participate in a range of physical activities confidently and competently. 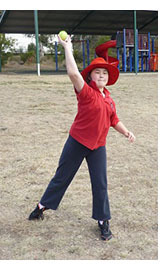 In Health and Physical Education, students develop the knowledge, understanding and skills to support them to be resilient, to develop a strong sense of self, to build and maintain satisfying relationships, to make health-enhancing decisions in relation to their health and physical activity participation, and to develop health literacy competencies in order to enhance their own and others’ health and well-being. 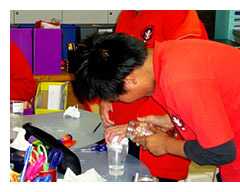 Science provides opportunities for students to develop an understanding of important scientific concepts, processes and skills as outlined in the Australian Curriculum. This occurs through the use of practices that develop knowledge of science’s contribution to our culture and society, and its applications in our lives. The teaching and learning process in Science provides students with exciting opportunities to develop deep and authentic understandings of the Australian Curriculum strands including; Science Understanding, Science as a Human Endeavor and Science Inquiry Skills. 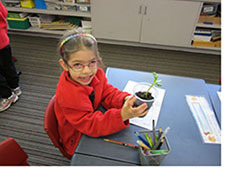 This involves direct and differentiated teaching of scientific inquiry methods, the foundations of knowledge across the disciplines of science, and develops the ability to communicate scientific understanding and use evidence to solve problems and make evidence-based decisions through use of (but not limited to) the Academy of Science – Primary Connections programs. Aranda’s curriculum supports, excites and inspires students to use their natural inquisition to develop scientific knowledge, understandings and skills to make informed decisions about local, national and global issues and to participate, if they so wish, in science-related careers. The humanities and social sciences are the study of human behaviour and interaction in social, cultural, environmental, economic and political contexts. The humanities and social sciences have a historical and contemporary focus, from personal to global contexts, and consider challenges for the future. In this area of learning students investigate the historical, cultural, social and environmental factors that shape their identity and that of society. 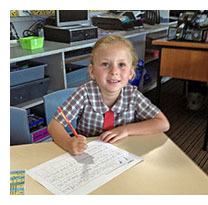 The curriculum has a strong emphasis on students developing an understanding about Australia and Australians. Technology studies provide opportunities for students to develop the ability to solve practical problems by applying scientific and technological knowledge processes and skills. Technologies draws together the distinct but related subjects of Design and Technologies, and Digital Technologies. It ensures that all students benefit from learning about, and working with, traditional, contemporary and emerging technologies that shape the world in which we live. In creating solutions, as well as responding to the designed world, students will contribute to sustainable patterns of living for themselves and others. The Arts have the capacity to engage, inspire and enrich all students, exciting the imagination and encouraging them to reach their creative and expressive potential. Learning about the Arts enables students to learn how to create, design, represent, communicate and share their imagined and conceptual ideas, emotions, observations and experiences. 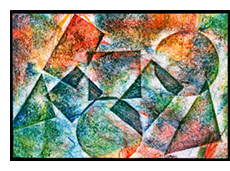 The Arts program develops intellectual, social, physical and aesthetic understandings and skills that assist students to create, explore and communicate ideas and appreciate a variety of art forms. The creative arts of visual art and design, dance, music and drama, form an essential part of the curriculum. Languages studies provide opportunities for students to develop intercultural understanding and positive attitudes towards the learning of another language and as well as increasing the students’ knowledge and appreciation of their own language. As it is highly desirable to start language learning early, French is offered to students from Kindergarten. The main objective of the course is to give the students some basic knowledge of the French Language and an insight into French culture. At Aranda Primary School, students use a range of ICT to support their thinking, learning and communication. Students have opportunities across the curriculum to utilise chromebooks, mobile devices such as iPads, digital and video cameras, interactive whiteboards and a range of software. Aranda Primary School students in years 3-6 have the opportunity to access a Google Suite for Education account. Students are encouraged to access their account through the digital backpack (www.backpack.act.edu.au). Please contact the Front Office if your child is experiencing difficulty accessing their account.